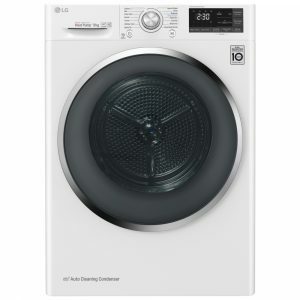 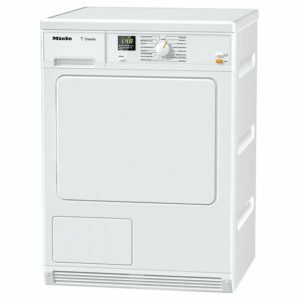 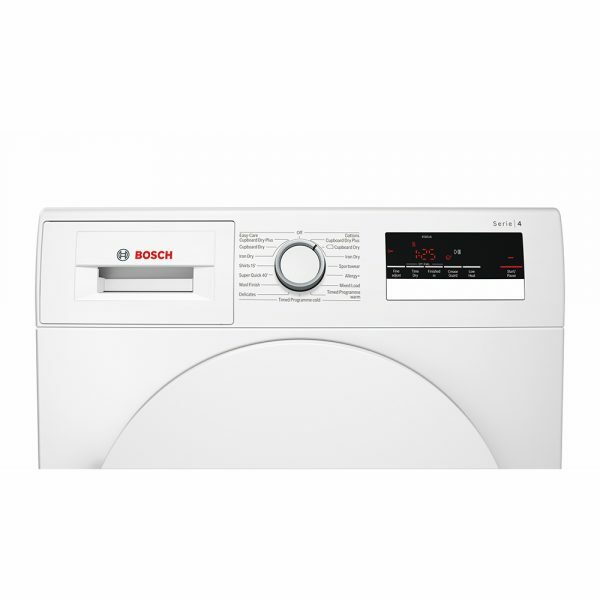 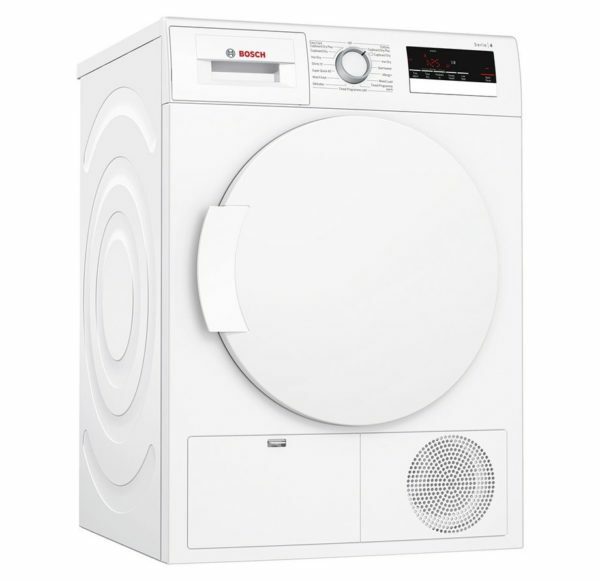 This Bosch condenser dryer in gleaming white is superb and as it doesn’t need venting out it can be placed anywhere in your property, which makes it really versatile. A large 8kg capacity makes it perfect for family life. 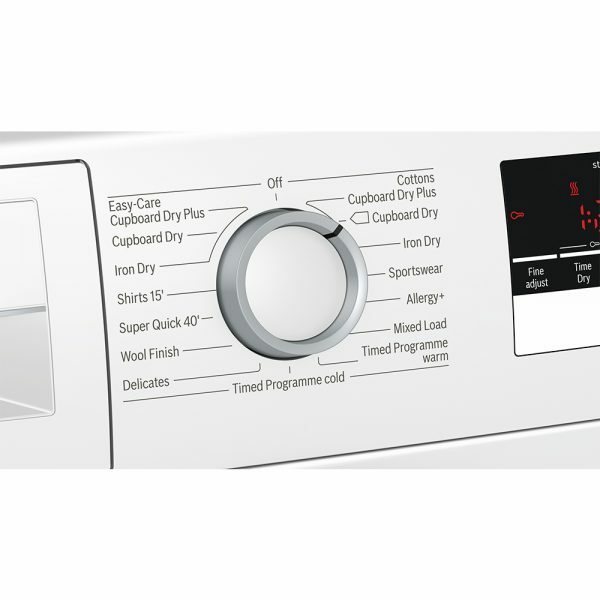 You can opt for either timed or sensor drying programmes. 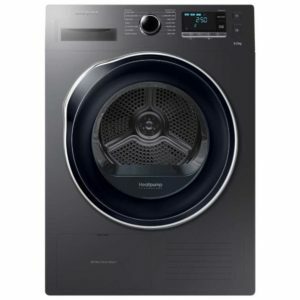 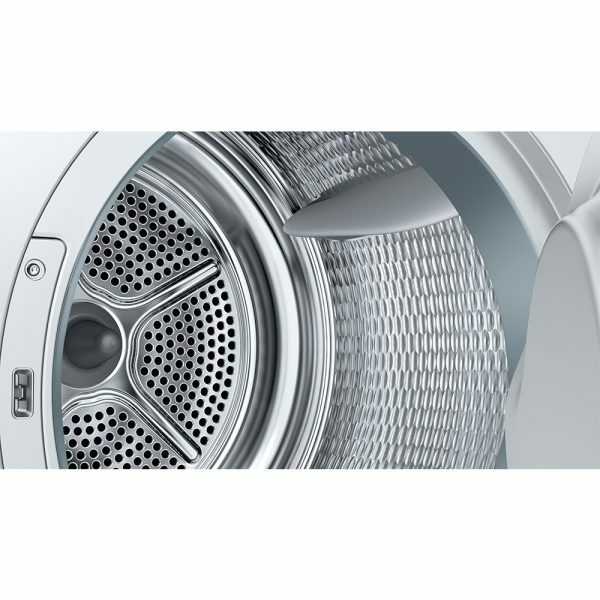 Sensor drying is incredibly energy saving as the dryer works out the moisture level of the clothing and stops when the clothing is dry, rather than continuing until the end of the programme. With sensitive drying technology you know that your clothing is being treated with care and attention at all times. 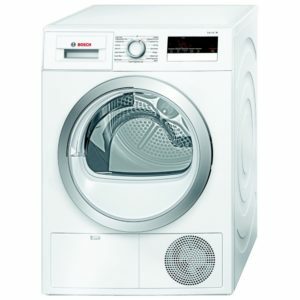 There are anti crease and reduced ironing options, all with the express aim of saving you time. 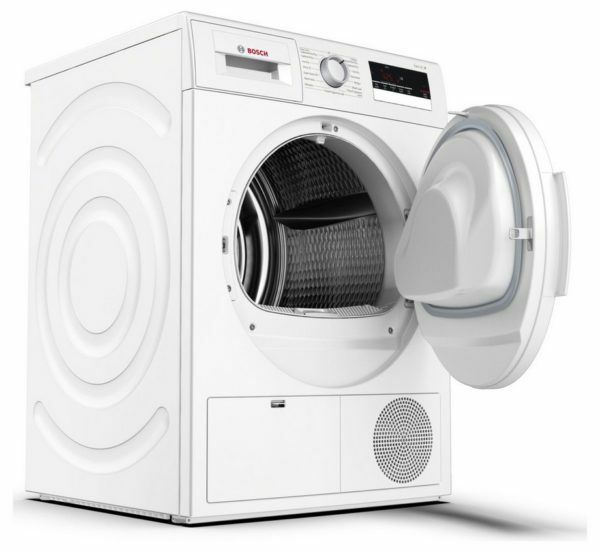 Specialised programmes for woollens, sportswear, shirts and quick dry are also on the menu. 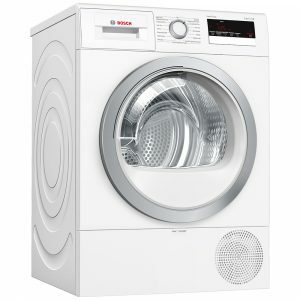 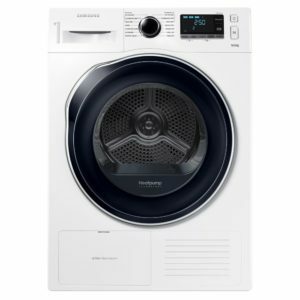 There is an LED display, easy to operate controls and with a respectable B energy rating we think that this dryer is a real winner.